North Perth Hairdresser established over 18 years ago. We have been perfecting hair straightening longer than anyone in Perth. 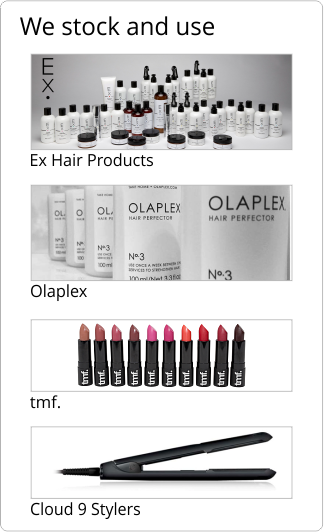 Offering a wide variety of options for all hair types. We are the BEST hair straightening salon in Perth. Performing hundreds every year. Scroll down to the link for our designated Hair Straightening Facebook page to see our work. Apart from colour and hair cutting one of our most popular areas of expertise is hair straightening, including Permanent Hair, Thermal rebonding, Keratin, Xtenso in various from from straight to relaxed. Chemical and non chemical. Enjoy the entire hair straightening experience at our North Perth hairdressing salon. Click here to contact us for more information about hair straightening in Perth.